It’s time to liven things up. From novice gardeners to avid green-house cultivators, the benefits of adding indoor greenery are both easy on the eye and the air. Plants bring an element of liveliness into our homes, create beautiful focal points, add natural colour and texture, provide balance and energise the spaces we live in. As well as the ability to transform a room, it?s also a well-known fact that houseplants work to purify the air we breathe by removing harmful household chemicals. From urban apartments to sprawling suburban homes, it?s never been easier to introduce indoor greenery. 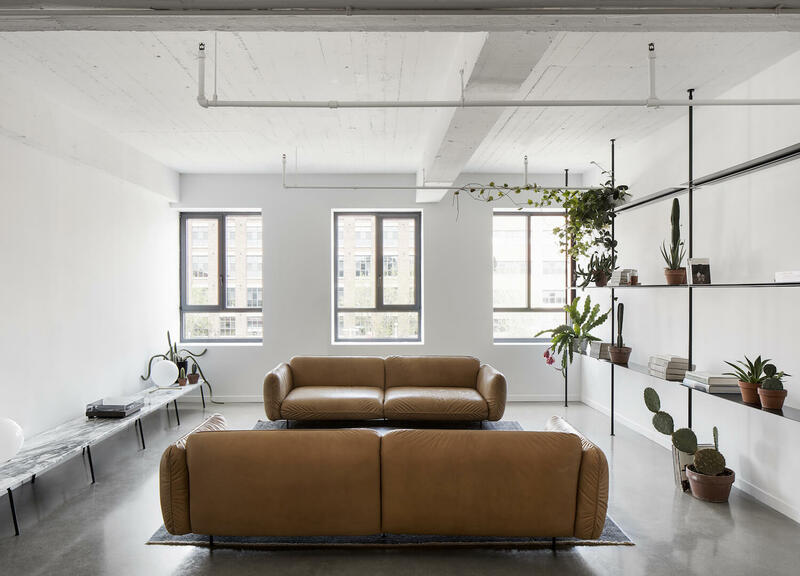 Case in point; Apartment Saint-Laurent by Atelier Barda shows us just how effortless it is to soften even the most minimal and industrial of interiors with a few strategically placed pot plants. For even more inspiration on how to bring the outdoors in, check out our est favourites below. Not a green thumb" Not a problem. Sydney-based photographer Daniel Shipp‘s darkly beautiful ?Botanical Inquiry? pieces provide a celebration of the often overlooked flora and fauna found growing in the cracks of our suburban streets. Hidden with clever castor wheels for easy movability, the Flor Planter by Plyroom is characterised by clean lines, natural materials and quality craftsmanship.